For a long time we have been hearing about the rumored Google Nexus Tablet. There was a speculation earlier that this device might be manufactured by ASUS, but now it seems like it was true. However, still a lot is to get confirmed about the tablet. Earlier it was expected to be of a 7inch tablet powered by NVIDIA’s quad core Tegra 3 processor, which still remain a question. It is expected that the Google Nexus Tablet might be unveiling the device at the Google I/O conference which is to be held in San Francisco by the end of June. The confirmation of ASUS being partnered Google for the Google tablet is being said by some anonymous representative of ASUS, as it is being told during the COMPUTEX show. Nothing much is being said about the tablet by the representative, he only added that whatever the outcome will be it is going to be something awesome. 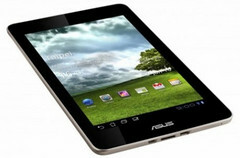 It is also known that ASUS is in talks with US carriers for their Padfone stateside. Most of the carriers are not showing much interest in these devices but it seems like AT&T might be giving it a try. Along with that ASUS Transformer Pad Infinity (TF700) is also coming by the end of June in both Wi-Fi and LTE version. The Google tablet is also expected to be a low priced model and is expected to be priced at a range of $150 - $250. And if it is also an ASUS device then we can say that ASUS might be landing a lot of devices to the market this summer.